List Rules Vote up your favorite creepy moments that never made it into theaters. Depending on how strong your stomach is, you may already know about these disturbing scenes cut from horror movies. But a movie's genre doesn't preclude it from having shot footage that ultimately turned too weird to include in theaters. Below, some of the strangest scenes you've never seen from, from movies you'd never expect. Gross gross gross gross gross. As if the somewhat chaste kiss in the beginning of Star Wars: The Empire Strikes Back wasn't enough to gross out audiences everywhere by the movie's big reveal, imagine watching this extended cut in theaters, where the sexual tension is ramped up to...well, still not very much, considering no one can kick game while sporting Luke's bowl cut. Still creepy though! Was this too creepy for theaters? There is nothing more disturbing than 90 percent of the toon stuff in Who Framed Roger Rabbit. That's just a given. But one scene that was determined too creepy even by Toontown standards to make it to the big screen was an ongoing bit regarding Eddie Valiant (Bob Haskins) and a cartoon pig's head he's forced to wear after being caught by Judge Doom and his weasels. After getting “Toon-a-rooned” by the goons, Eddie then washes off his Porky Pig face...letting the viscera and eyeballs float down the bathtub drain. 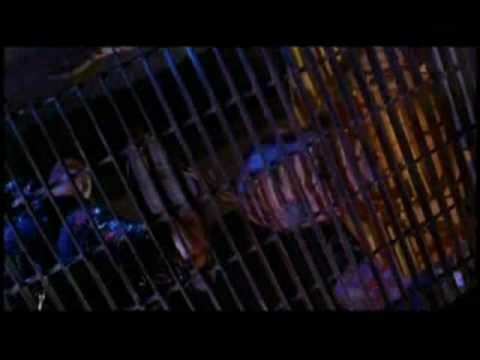 The infamous scene cut from 2017's IT involved Pennywise before he was a clown, eating a human baby. Yikes. Maybe not as disturbing but certainly eeek-worthy is this deleted scene where bully Henry stalks the Loser's Club in his car with his BFFs in tow... and oddly silent. Another "Oh god, why? My eyes, they burn!" moment from the cutting room floor of Tinseltown. The whole Super Mario Bros. movie was so WTF that you have to wonder who the intended audience for this film actually was.... and why they'd need to know what the strippers in King Koopa's version of the Boom Boom Room looked like? see more on Super Mario Bros.